Hello lovely readers! I wonder there's nobody still remember me haha. It's more than 1 year I never updating in this blog. It's got hacked! I don't know why I can't login to my acoount, so I ask my friend to fix my blog, and tadaaa! I can posting anything in this blog again! Ireally missing this blog. I miss to read the comments from anyone who blogwalking in my blog. So this is it, I'll give you some lovely pictures of the latest fashion things I love. Mary Katrantzou and adidas Originals are teaming up for a second fashion collaboration with a new twist for the spring-summer 2015 season. The Greek designer, known for her prints and textures, looked to 1980s workout and fitness imagery for the capsule collection. Prints imitate stopwatches, tennis rackets and badminton shuttlecocks for an ode to sports. The lineup, out in July 2015, will feature apparel as well as footwear. 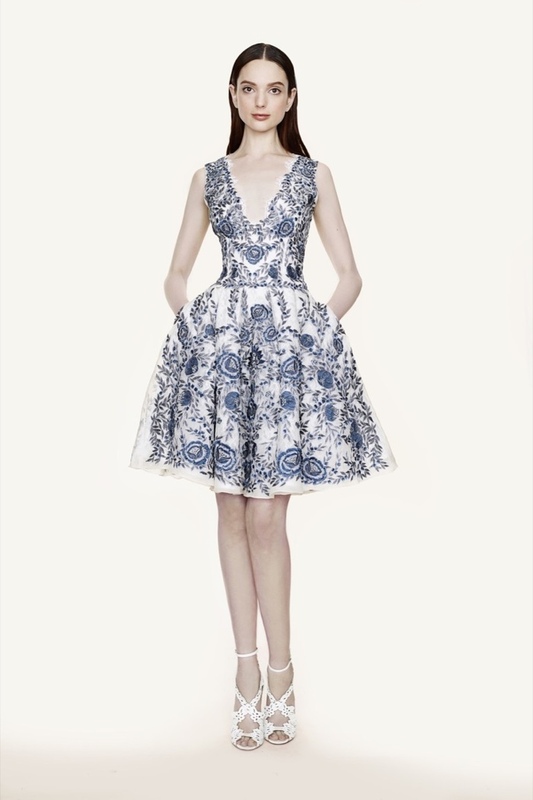 The romantic and ethereal style of Marchesa continues with the label’s resort 2016 collection. Focusing on floral embroideries and dramatic ruffles, the Marchesa woman’s wardrobe goes from day to evening with bold pastels, red, white and black. A lace adorned jumpsuit in white is a statement making look for the night while a cocktail dress with fringed sleeves and hemline serves up daytime glamour. 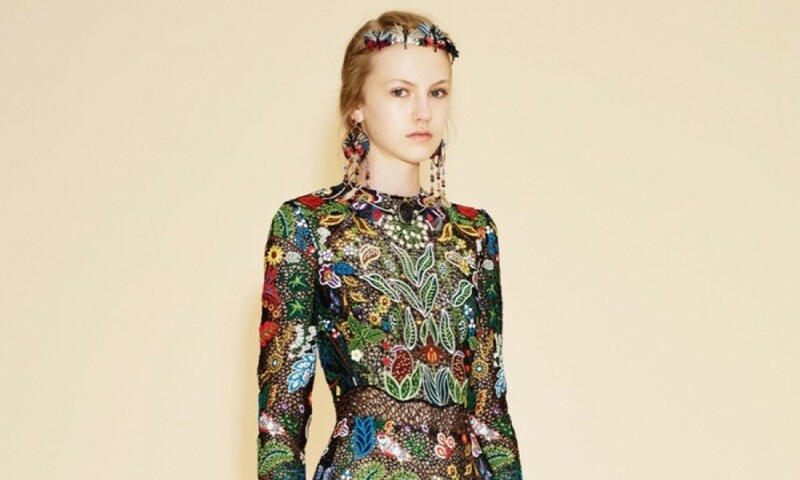 No strangers to the art of embellishment, Valentino designers Maria Grazia Chiuri and Pierpaolo Piccioli were inspired by Diana Vreeland’s ‘the eye has to travel’ quote for the Italian brand’s resort 2016 collection. Taking inspiration from around the world ranging from the United States to Africa and Asia, the new season brings a powerful combination of color and details. Fringe, florals, leather and North African motifs are all covered in the Valentino Woman’s wardrobe. As eclectic as her wardrobe, her footwear also globe trots with Roman sandals, oxford inspired shoes and even sneakers. OMG I'm so happy can posting something in my blog. It's been more than one year vacuum from this blog because it's got hacked. I'm so sorry for my sponsors online shops for not bloggging more than one year. I not reply all the emails because my gmail cannot login. But now all those problem was fixed! Thanks for my frined who really talented for fix my blog and gmail. If you have any question or bussiness, you can email me at : sausanhanifah@rocketmail.com. I'll glad to reply all your emails. I'm so sorry for not posts in this blog, but now I can posting again, yeaaaay! Wait for my new outfits post! thank youu! Hello bloggers, how are you? It's already first day of April in Indonesia! So, rather than buy some silly things for celebrate April Mop, I prefer to buy some new clothes, bags and shoes from TBdress.com! Okay, let me introduce you to TBDress, one of the greatest online shop from China who has many cheap and affordable products for every costumers in the world! Tbdress offers a quick-and-easy online purchasing process in addition to offering all of every clients a dedicated and knowledgeable customer service team. They tried and tested Trust Marketing and Paypal payment processes guarantee a safe and secure purchasing environment. Tbdress has truly taken out the hassle of international trade—from product sourcing, secure payment and shipping. Since its founding, Tbdress has seen accelerating growth rate in a number of business indicators, including year-to-year gross merchandising value, number of orders, registered buyers and sellers, and listings. 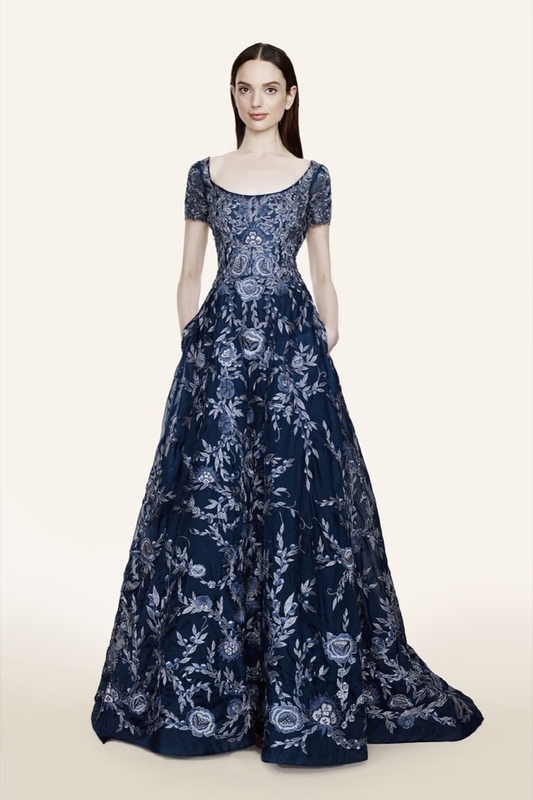 On Tbdress.com, international buyers can purchase a wide range of products at very low prices. In addition, the customer can also enjoy the custom made items, which may be more suitable for you. Jolly Chic $80 GIVEAWAY Winner!